As a Surfer and Kitesurfer, I wanted to design wave kite that exells on the waves BUT without loosing the features of high floaty jumps, fast pivotal powered and depowered turning and adrenalin fueled kite loops and free ride fun. 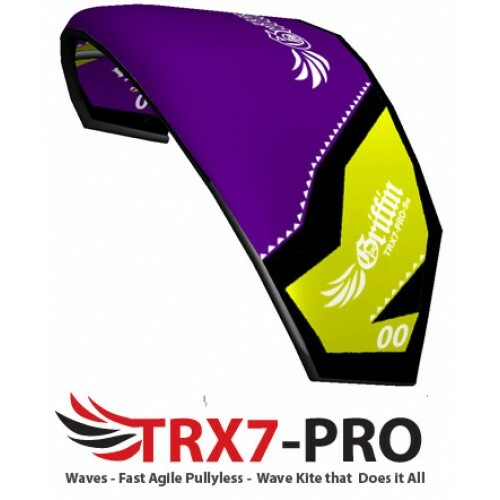 The TRX 2015 is designed to be agile, light and fast, have a maximum wind strong and light winds wind range, handle gusts smoothly, and mostly wave ride with power in lighter winds and most importantly depower when needed turning hard on a wave or in a gust so you dont have to fight/edge hard against the kite in a tight turn. This was achieved with a thin three strut design, no pulleys and a open C high-medium aspect shape. This kite is a high aspect design with the wing tips reduced length to make the kite look and perform like a fast turning medium aspect kite. The curved leading edges makes relaunch much easier and faster if you drop the kite. This kite has the speed, upwind and boost of a high aspect design with the grunt, turning, float, drift, stability and ease or relaunch of a medium aspect design. 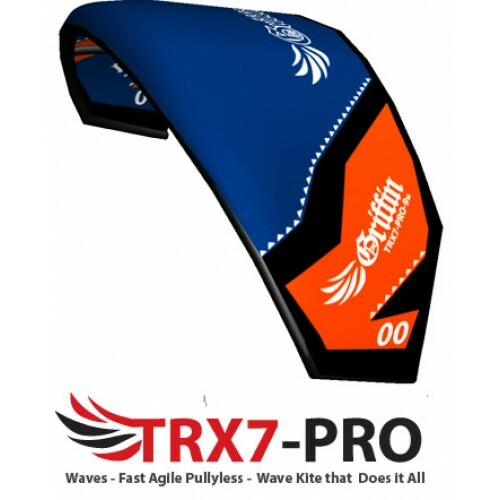 The TRX V.7 Pro makes other kites look like they are going in slow motion. With bullet fast kite looping, tricks have never been easier to master. 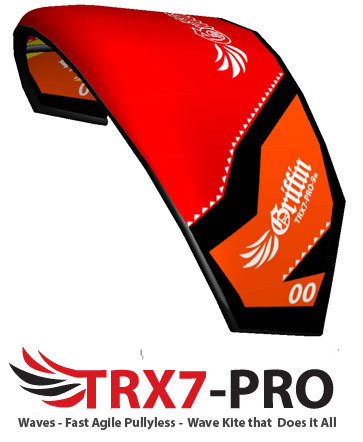 This kite will also pivot on its wingtip allowing for fast directional changes without being ripped off your board. It will keep you in the pocket of a wave with phenomenal drift, or can be looped down the line to generate more speed to zip over to the next section of a wave. The light bar pressure allows for quick changing of hands when cutting back on a wave giving instant feedback and power when needed, or will be happy to just drift along the wave with you. Ideal for: Pros and intermediate wave riders, free riding cruisers, and freestyle handle passing gurus. This kite is for riders who can handle a fast turning responsive kite. 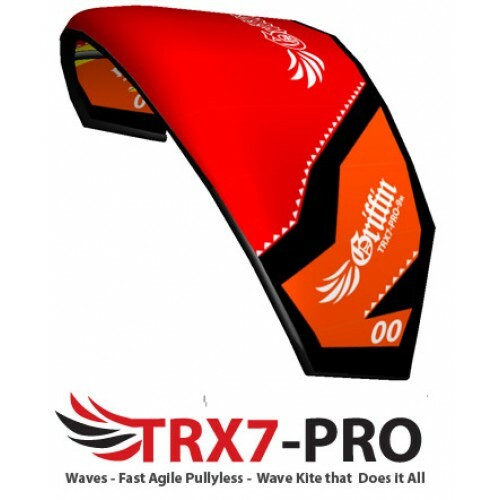 If you are an experienced kiter you will prefer the TRX for wave riding, tricks, kite loops and free ride. Ideal for riders after a agile responsive kite. No pulleys, no 5th lines to get tangled, no battens to wreck the canopy, no flapping in kite loops, light thin 3 strut design, easy relaunch, reinforced LE and durability, and massive wind range. Awesome responsive power control and drift when wave riding, exelent stability and controll in gusty winds.